Concerns about online threats against Australia have led to the federal government launching a review of its cyber security strategy for the first time since 2008. The Cyber Security Review will look at how government and industry can work together to improve the security of online systems. The review is to be conducted by the department of Prime Minister and Cabinet along with Business Council of Australia CEO Jennifer Westacott, Telstra CISO Mike Burgess, International Cyber Policy Centre director Doctor Tobias Feakin and Cisco United States CSO John Stewart. Work to ensure Australia is one step ahead of the threats to government networks and critical infrastructure. Outcomes of the review will be presented in May 2015. “By 2017, more than nine out of ten Australians will be routinely online and Australian businesses and consumers benefit from the opportunities an interconnected world delivers. However, there are also risks,” Prime Minister Tony Abbott said in a statement. 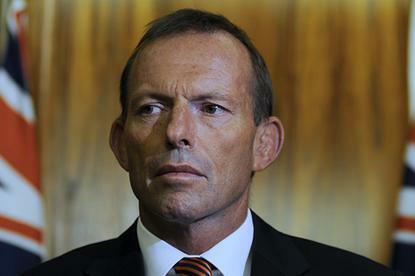 Abbott also opened the Australian Cyber Security Centre (ACSC) in Canberra. “The ACSC will build an understanding of the threats we face and help our security agencies respond more quickly and effectively to the growing problem of cyber attacks,” said Abbott. In response, a Commonwealth Bank of Australia (CBA) spokesperson said it had advocated for a review of the cyber security strategy in its submission (PDF) to the Financial System Inquiry in March 2014. “Australia’s national cyber security strategy should be updated with a focus on private-public sector co-operation to ensure continued cyber security resilience across the financial services industry and critical infrastructure sectors,” read CBA's submission. “We look forward to working closely with government on this review, including on key areas such as increased public-private collaboration and information sharing, cyber crisis planning and enhancing Australia's cyber resilience through improved cyber literacy and the development of cyber skills in the domestic workforce,” said the CBA spokesperson.